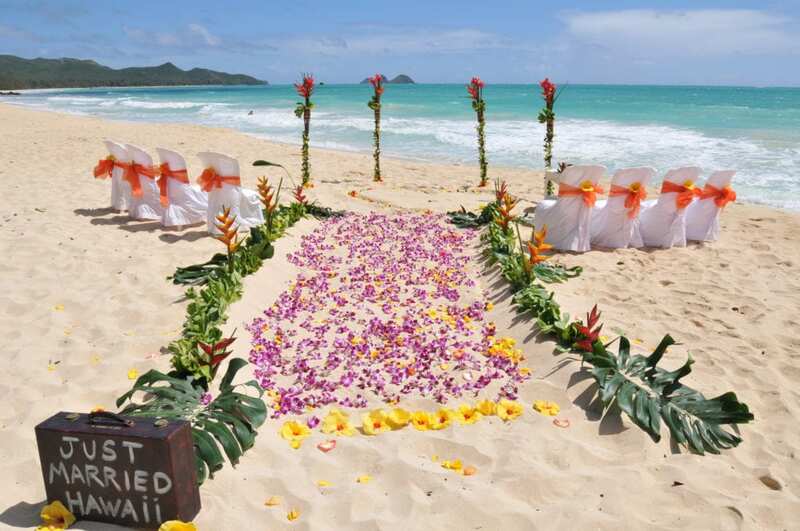 Book your Sacred Hawaiian Wedding Package full of Hawaiian tradition and beauty. 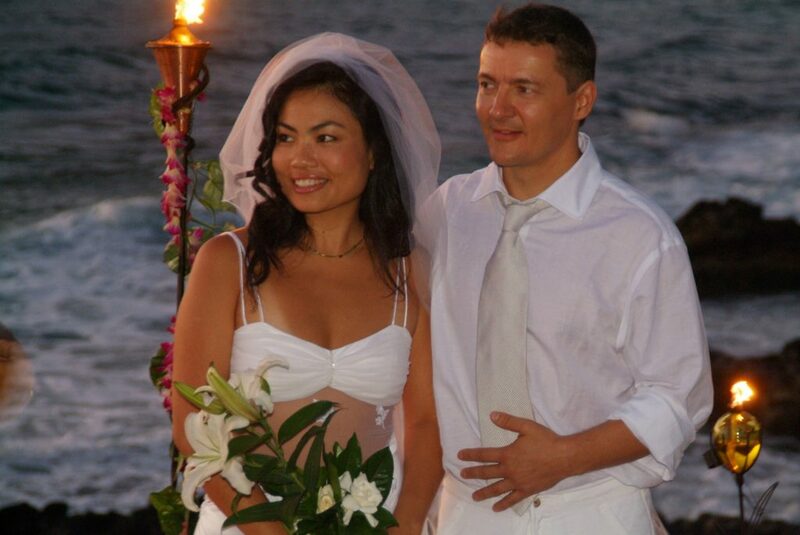 Our Simply Sacred Wedding is our most requested Hawaiian Wedding Package. This Authentic Sacred Hawaiian wedding is filled with traditions of old Hawaii, couples feel themselves uplifted and deeply touched by this blissful experience of mystical Hawaii. Performed at sacred island locations. Immersed in Hawaii legends and myths. Decorated Tiki torches topped with firey tropical flowers, a full Tropical bouquet and a warrior Maile Lei are all part of this Mystical Hawaiian Wedding Package. 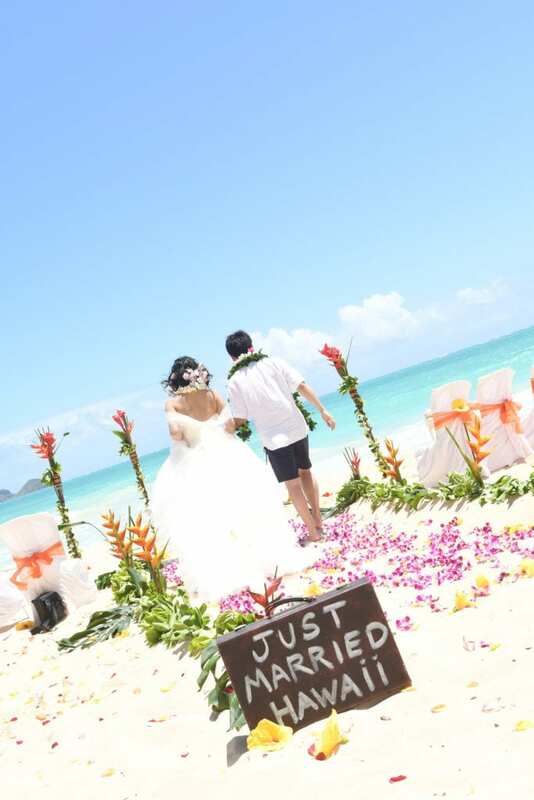 With our Simply Sacred Hawaiian Wedding Package you receive 225 images with a variety of both posed and candid shots. The images are uploaded to the internet the evening of your wedding and a link sent to you via email. The photo shoot in its entirety is yours to download for two weeks. Choice of your favorite Oahu Beach or Park location. Colorful Tropical Bridal Bouquet & Groom’s Hawaiian Warrior Maile Lei, Two Orchid Leis (for Hawaiian lei ceremony), Traditional Hawaiian Kukui Nut Wedding Leis (These sacred leis are to keep with you for a lifetime memento of your Hawaii wedding) Your children also receive fresh orchid leis and are included in Lei and family ceremony. 225 Professional, Copyright-free wedding photos uploaded on day of ceremony. Flower Circle or Heart in Sand for couple to stand in during ceremony. With up to 10 guests! 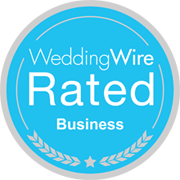 You will receive a free quote for your wedding by filling out our booking form. You may also request a pay pal link for your deposit. 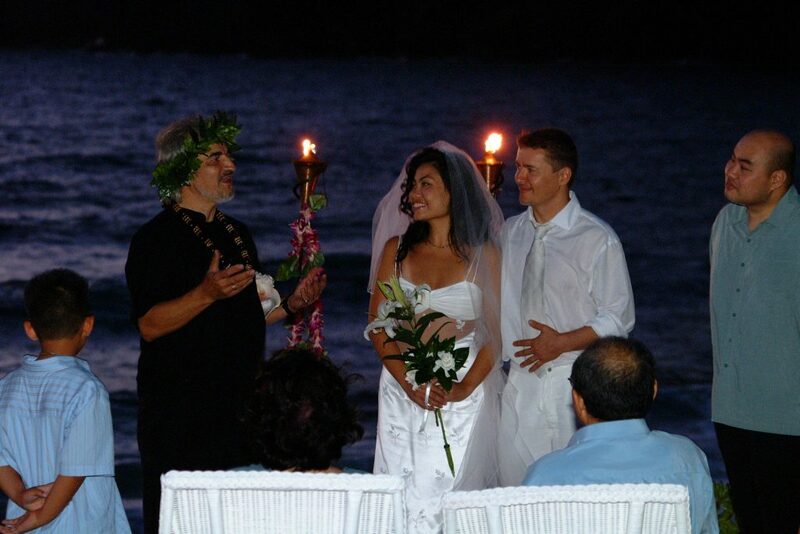 The possibilities for your Simply Sacred Hawaiian Wedding Ceremony are as endless as your imagination. 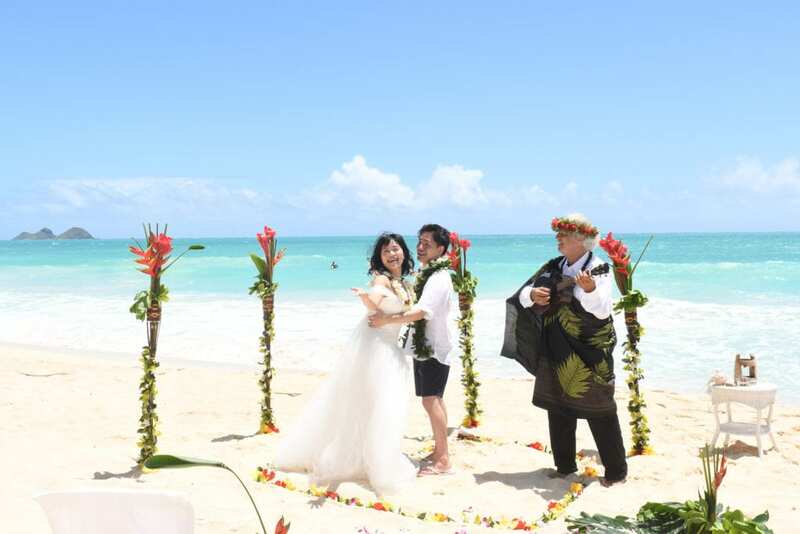 Adding a wedding video captures every precious moment of your Hawaiian ceremony, so you can relive this sacred moment over and over. 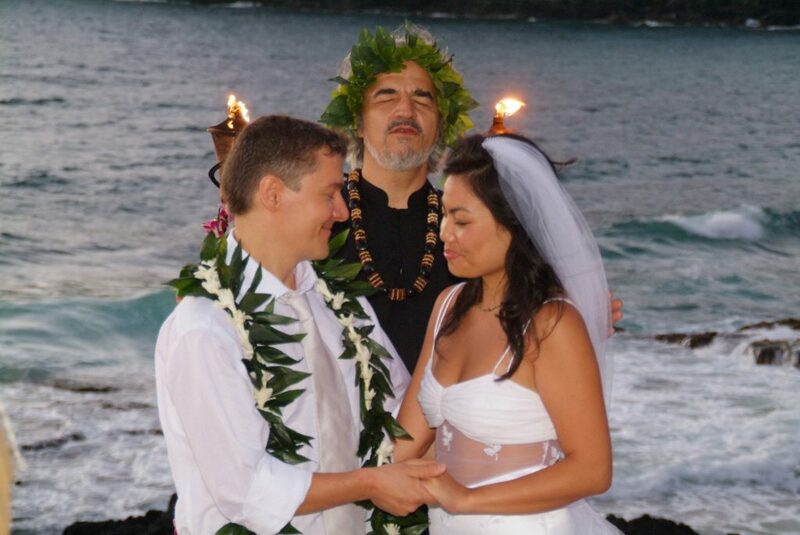 An Oahu Sacred wedding or Sacred Kauai beach wedding is a memory to cherish forever.